I'm sick of these motherfuckin rafts on this motherfuckin plane! Mythbusters explaining how hernias work. Attack of the killer life raft. ok can any of you fucks spell???? 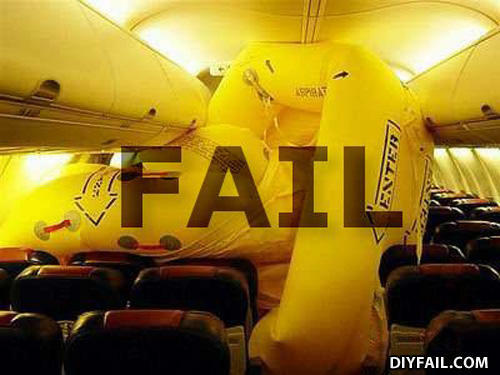 Well at least we know were all safe on the planes.... FAIL!!! Now the planes water tight in case of an ocean landing! no no no! too early! not yet!